It was another busy day for me at work. I was drained, tired, hungry and excited to take a shower, make love with essential oils and relax. Finishing a novel wasn't in mind, but it happened--one of life's surprises took centerstage. Everybody who knows me knows how much I love coffee. Queer, but I even once broke up with someone because of coffee. But before you jump into conclusions, judging me as this psychopathic coffee addict, don't. Please don't. I was just young, wild and crazy--though not much has changed if I may say. If you're a coffee lover just as I am, you will understand how essential each sip of joe is. More than just a caffeine fix, coffee for some coffee lovers if I may speak for them, is a refuge from the things that hurt--a place of solitude and inspiration, for the bruised. If you're a book lover, finding these little magical details between pages of art and playful words is nothing but a dream come true. 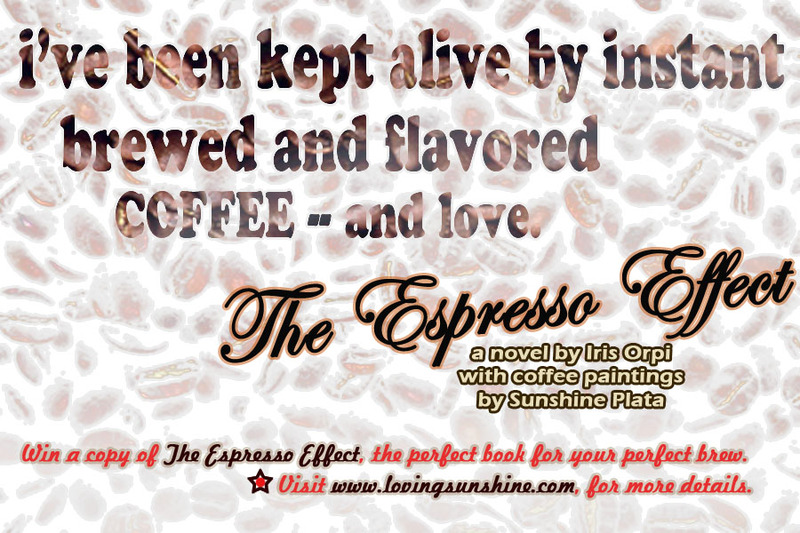 The Espresso Effect is a novel guised as a coffee table book, filled with whimsical pictures of coffee art. It was easy to read especially for me because it had a blog-like format--actually it was pretty much a blog site printed on glossy paper only that it was embraced by passionate poems that hum wonderful notes into your head. I was drinking tea when I read it, but the effect was just the same. I almost cried with one scene. I guess it's because I related with the protagonist's "experiences". It was wonderful. The Espresso Effect is a little bit of everything I liked loved in my life: The Little Prince made an "appearance", my alma mater demanded a visit (I miss UP so much. I can't wait to feel the sun of your fields again. ), The Universe called for verses that make sense of life's mystic. Burn with passion cause a little insanity makes life's bitterness... sweet. 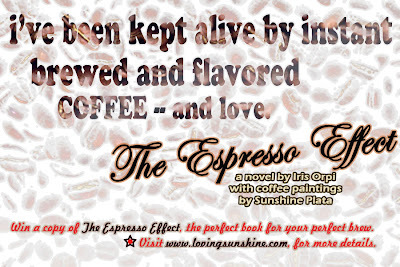 Let me share with you The Espresso Effect. Win a copy of The Espresso Effect, instructions below. I am a believer of the saying "Happiness shared is happiness doubled." 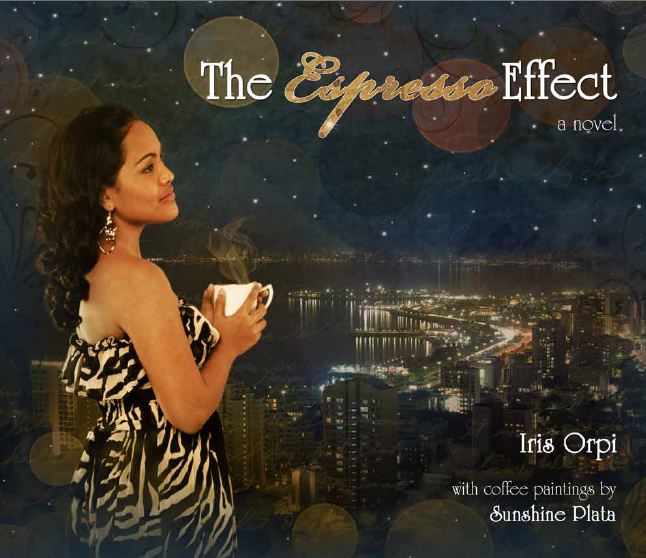 so I bring to you the chance of taking home your very own copy of The Espresso Effect by Iris Orpi. I decided to keep things simple. Just post the photo above on your wall and that's already your entry! Don't forget to inform me through a wall post on my page here. Contest will close October 19. Winner will be chosen through Random.Org and will be announced on October 25. Good luck! Thank you Ms. Iris Orpi for such a wonderful gift. You're welcome. And thank you so much for this. I shared it on my wall.. Thanks a lot! hope I'll win..
A coffee lover here! Weee!